There's a lot of reflective gear out there. Designed to keep you safe while you run. But the problem with most is that it only reflécts light. It doesn't shine all on it's own. In fact I think it's safe to say that most reflective gear is like the moon. The moon reflects the light of the sun, like most reflective gear reflects oncoming traffic. Personally I'ld feel a whole lot safer if I were the sun. Not the moon. 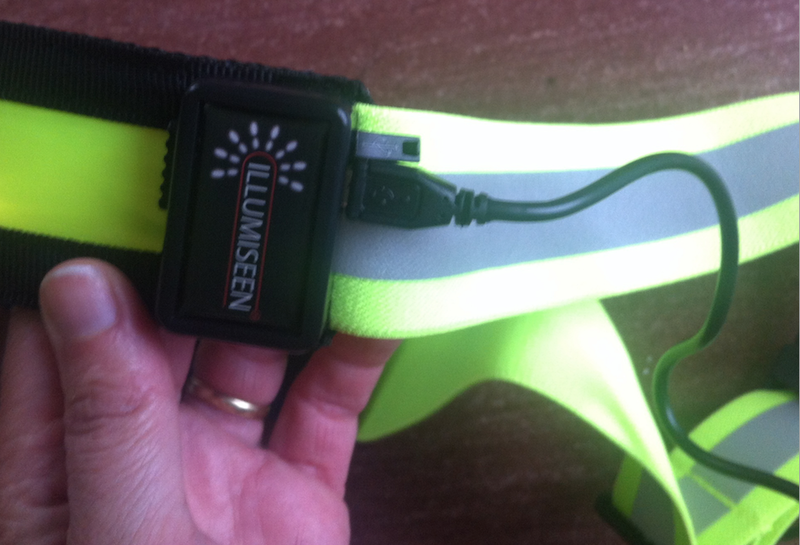 Which is why I'm very excited about trying out the Illumiseen Led Reflective Belt. Because thanks to the 3M Scotchlite™ reflective material and custom-designed fiber optics it reflects oncoming light AND gives off a powerful beacon in the dark. It doesn't need an external light source! It works all the time thanks to its powerful LED technology. It's like being the sun! And the best is yet to come: it's USB rechargeable so no mucking about with batteries that always play dead when you need them. Let's get to the nitty gritty, shall we? If you don't like it, you get your money back. You can wear one belt like you would a shoulder bag: across one shoulder. Or you can wear two and create a bright cross. 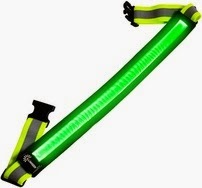 You can get your own reflective belt on Amazon for 29.99 USD. This is a very cool idea. I'm not a runner but like to walk and the early morning or early evening is my desired times to walk and I always worry about visibility. Thanks for sharing. Visiting from Mommy Monday. Yes, you can definitely feel safer wearing this belt!